Keystone Benefits Inc. specializes in Life, Disability, Health and Dental coverage. We work with mutiple carriers in the marketplace to provide services to meet the needs of individuals, families and businesses while remaining mindful of your budgetary concerns. 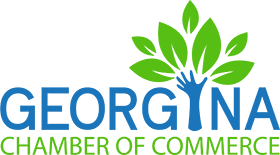 As a representative for The Chamber of Commerce Group Insurance Plan we focus on group benefits for small businesses to help employers attract quality candidates while providing financial security and support for loved ones. No business is too small. It offers pooled claims and rate stability. Group RRSP, Retiree Plans and Health Care Spending Accounts are also available. Whether your looking for a guaranteed plan with no health questions asked or looking to transfer coverage within 60 days of loss of group coverage we are here to help.